This recipe is so good, you will also want seconds! What I love about this recipe is that you can make it all year round. In the summer, there is a bounty of fruit like peaches, apricots, nectarines, and all types of berries. In the winter, you can use apples, pears, and frozen fruit. The recipe is very forgiving as well. You can measure the fruit or just put enough to fill your pan. Use what's on hand and check the freezer. 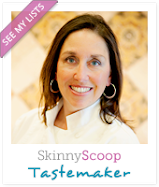 I love using berries in my crisp recipe because they are so healthy. We are lucky to have Driscoll's Berries available in stores where I shop. I like that they are just down the road in Watsonville, produce tasty berries and offer a wide variety of organic products. 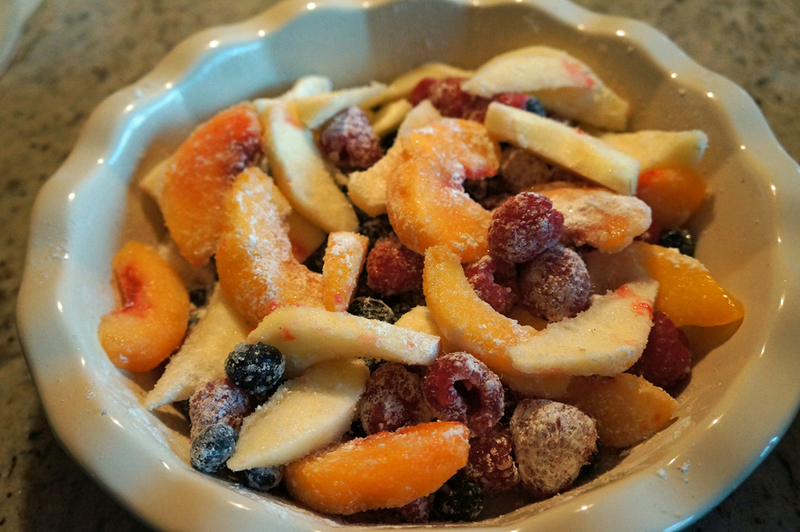 For the crisp above, I used raspberries, blueberries, frozen peaches and fresh apple slices. Remember, berries freeze very well so get them when they are fresh from the market, lay them flat on a cookie sheet, freeze, then transfer to a freezer-safe bag or container. The bag is a little better because you can remove the air which can cause freezer burn. If you wash your berries, make sure they are dry before freezing. I give mine a quick rinse and gently pat them with a paper towel to avoid breaking them. 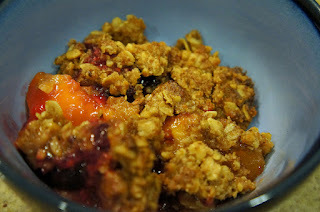 I have been making this fruit crisp for a long time. When I went gluten-free, I adapted it so the whole family could enjoy it. It continues to be a favorite of my family, friends and students in my classes. It can be served as is, with ice cream or heavy cream, yogurt or, for a dairy-free ice cream, try some vanilla coconut "ice cream". If you are concerned about the oats (some people can't even tolerate the gluten-free variety), add more gluten-free flour mix and chopped nuts. To save time, measure the crisp ingredients (except the butter) beforehand and keep it in a bowl until you are ready to bake. Instead of a store-bought dessert, why not give this one a try? I'll bet everyone will appreciate it! 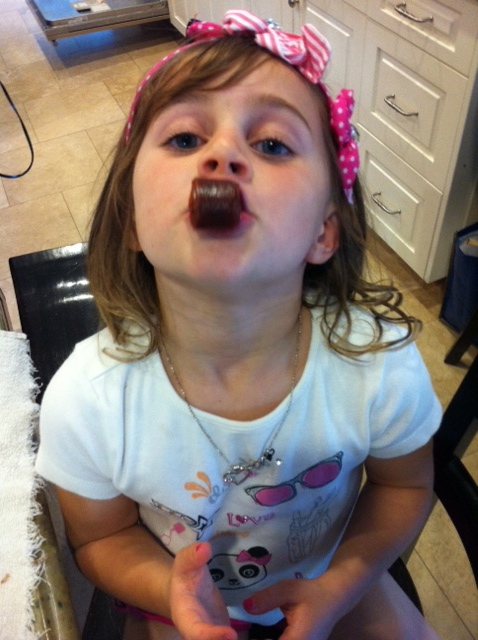 Watch the how-to video here on The Family Chef You Tube channel. 1. Preheat the oven to 375F. Grease a 2 to 2-1/2 quart baking dish or deep pie dish. 2. Make the Crisp Topping and set aside. 3. Mix the fruit, sugar and cornstarch and toss gently. 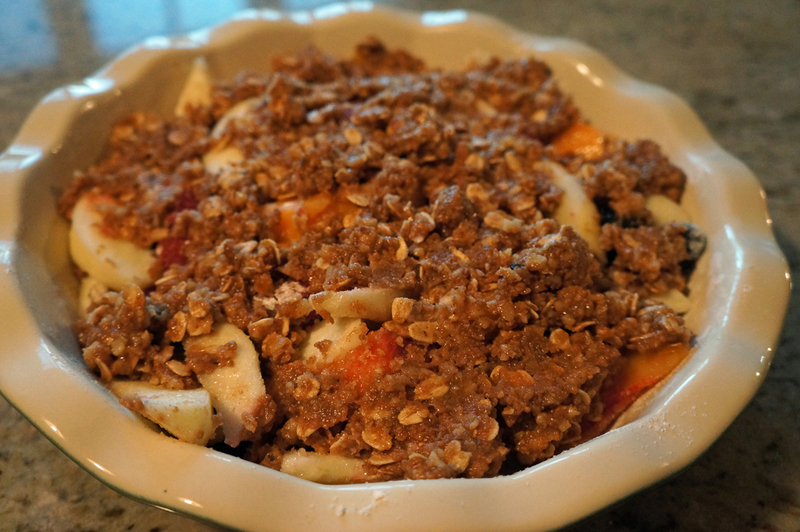 Transfer the fruit mixture to the baking dish and cover with the crisp topping, spreading evenly. 4. Place in the oven and bake until the top is well browned and the fruit is tender when pierced with a knife, about 30-35 minutes. 5. Serve with whipped cream or ice cream. Stretch Island offers next best alternative to fresh fruit! Thank you to Stretch Island Fruit Company for the complimentary sample to review this product. 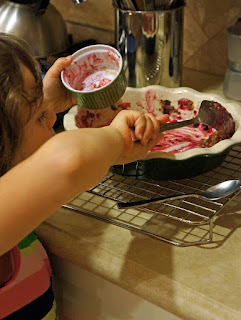 I try to give my family fresh fruit but it’s not always easy, especially when we are on the go. Sometimes I need a back-up plan. 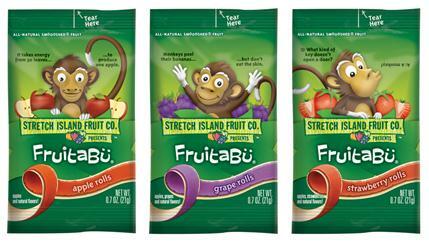 Stretch Island offers an alternative to fresh fruit with their dried fruit puree snacks. One of their newer products, the FruitaBu's Smooshed, has been a big hit. My kids have tried all three flavors (apple, strawberry and grape) and compete for them if there's only one for a lunch box! The sugar level in this fruit snack comes in a little high, but it’s naturally occurring, comes with a good amount of potassium and counts as a full serving of fruit. Just make sure to round out your children’s snack with a form of whole grain such as a whole grain cracker or protein, like nuts. In addition to the product itself, I also like the fact that the Stretch Island company gives back to the community. Through teaming up with the Fruit Tree Planting Foundation, the company created Fruit Tree 101. The resulting program plants lessons in sustainability and eating right in the form of orchards it donates to schools across the country. 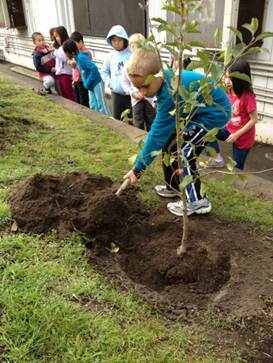 Students and teachers at these schools work together to plant the trees and discuss the fruit’s importance for human health and the environment. How idyllic! My kids appreciate the fun factor in their fruit and I take comfort in knowing the company prides itself on good health and social responsibility. Plus, I agree that the product is tasty!